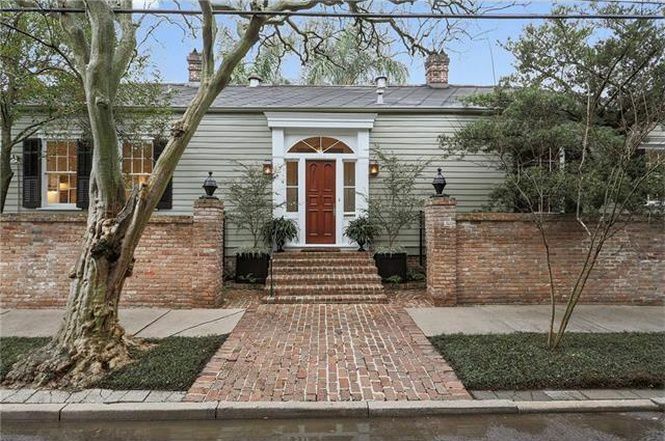 Earlier this week, Curbed NOLA pointed out five homes under $250,000 in New Orleans. In that list, the homes were limited to Treme, St. Roch, Holy Cross, and Broadmoor. But what about other neighborhoods in the city? This week, Curbed NOLA and NeighborhoodX partnered to find the least expensive homes for sale in the Garden District. In prior research, the Garden District ranked as the third most expensive neighborhood, trailing behind the French Quarter and Central Business District. The average Garden District home is $332 per square foot. In April, NeighborhoodX released similar data on the 10 least expensive homes in the French Quarter, with prices ranging from $260,000 to $329,000. The Garden District, however, proved to be more expensive. In the 10 least expensive homes in the Garden District, prices range from $245,000 to nearly $2 million, with only two homes being under $500,000. The list of 10 homes does not account for foreclosures and short sales, properties with rent-controlled tenants in place, and listings with incomplete or contradictory information, according to NeighborhoodX co-founder Constantine Valhouli. Built in 1927, this upper-unit condo is the most inexpensive unit for sale in the Garden District. Priced at $245,000, the unit measures in at 867 square feet, with one bedroom, one bathroom, and an open floor living and dining area. Highlights include the home’s galley kitchen, built-in bookshelves, side-facing balcony, and its off-street parking. HOA dues are $270/month. 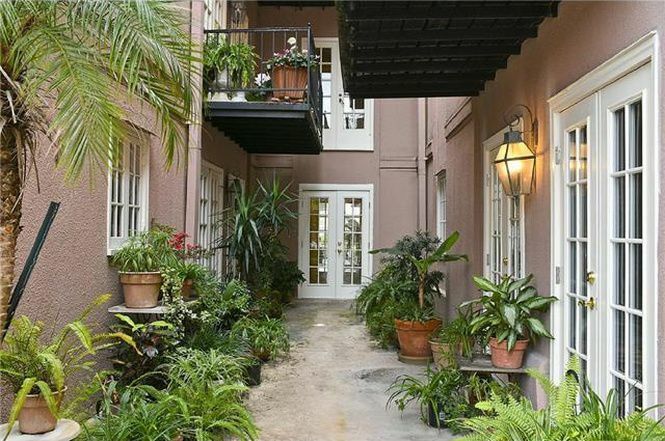 Located directly on St. Charles Avenue, this 1,317-square-foot condo goes for $333,000. The St. Charles home has two bedrooms and two bathrooms. The master bedroom is super-sized, complete with a walk-in closet. The condominium has a shared pool and second-floor patio, and on-site parking. HOA dues are $873/month. via Laine Harper/Grady Harper, Inc. 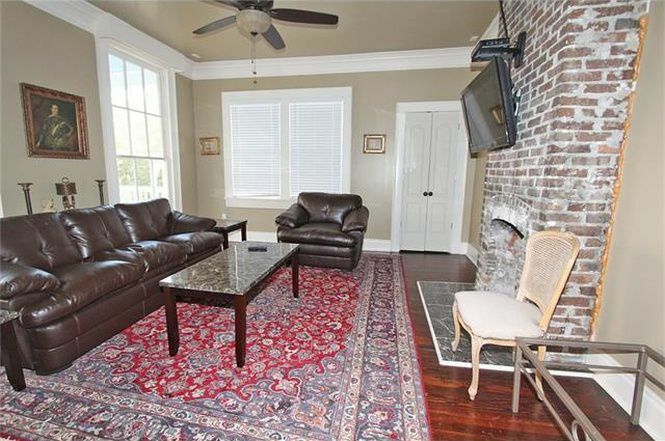 Asking $535,000, this Garden District condo is placed in the heart of the neighborhood. At 1,604 square feet, the three-story home has one bedroom and 1.5 bathrooms. 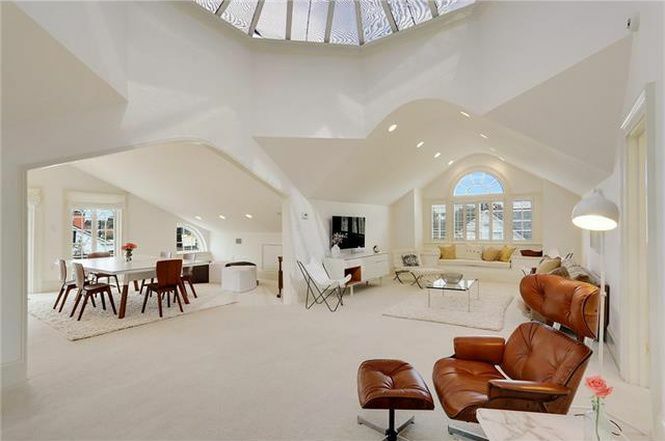 Notable features include the home’s soaring dome ceiling and its two stunning private rooftop terraces. HOA dues are $397/month. This spacious 2,268-square-foot raised bungalow hit the market at $749,000. The home is decked out with pocket doors, 12-foot ceilings, original wood flooring, and fireplaces in nearly every room. While some of the rooms are grand, others are in dire need of some TLC. Though, the home does have ample off-street parking (up to four cars). 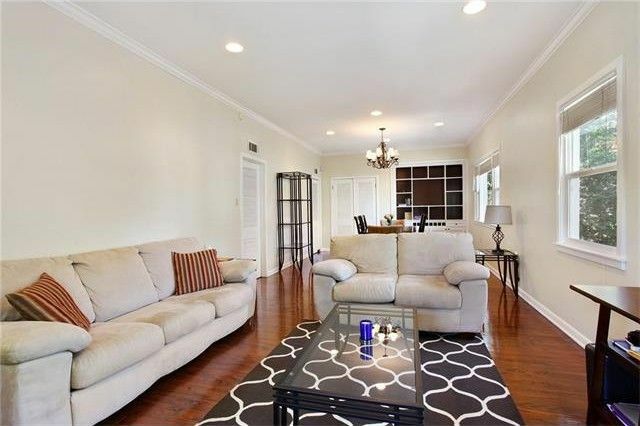 In this neighborhood, $750,000 buys this 2,817 square-foot townhouse. The home has three bedrooms and 2.5 bathrooms. Most notably, the home has a gorgeous uncovered sitting porch and a third-floor balcony. Inside are several beautifully-maintained rooms, including the master bedroom that is complete with a walk-in closet. On the third floor of the town house is an open office and bar. 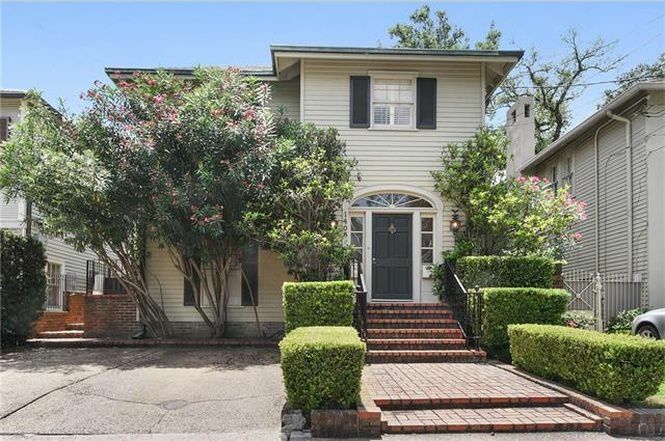 Built in 1932, this multi-family Garden District home is $930,000. The property is two blocks from the St. Charles Avenue Streetcar line, and three blocks from the iconic shops on Magazine Street. Each unit has two bedroom and two bathrooms, and there is a 632 square-foot guest home with one bedroom and one bathroom at the rear. Behind the duplex is an uncovered, shared courtyard. 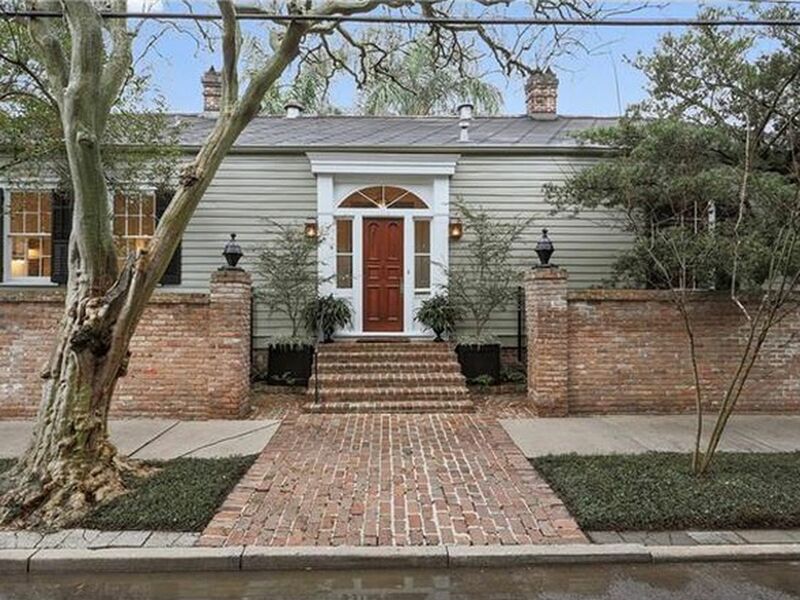 Crossing the million dollar threshold, this Garden District cottage asks $1,100,000. 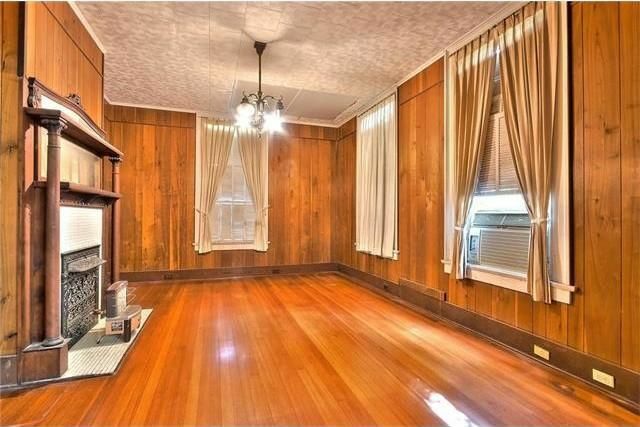 Built in 1867, this home has three bedrooms, 3.5 bathrooms, and 2,528 square feet. The cottage has pinewood flooring, soaring ceilings, and several large and open rooms. At the rear of the home is a guest quarters and a private brick courtyard with a fountain and garden. Renovated in 2011, this multi-family home asks $1,159,000. Inside, two units share 4,042 square feet of space, both having two bedrooms and 2.5 bathrooms. At first glance, the first floor has a large sitting porch while the second floor has a 273 square-foot balcony. For $1,795,000 you can live on the entire third floor of this condominium. 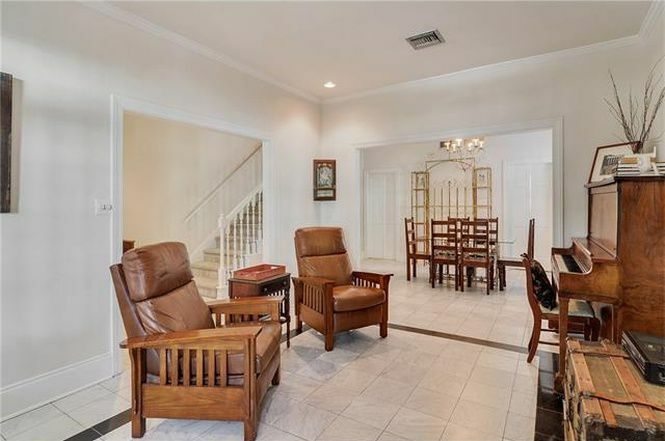 Measuring in at 3,767 square feet, this home has four bedrooms and four bathrooms. The joint condo has soaring ceilings, crown molding, a formal living and dining rooms, and three balconies. The building itself has a marble lobby, internal storage spaces, and four covered parking spaces. HOA dues are $2,518/month. 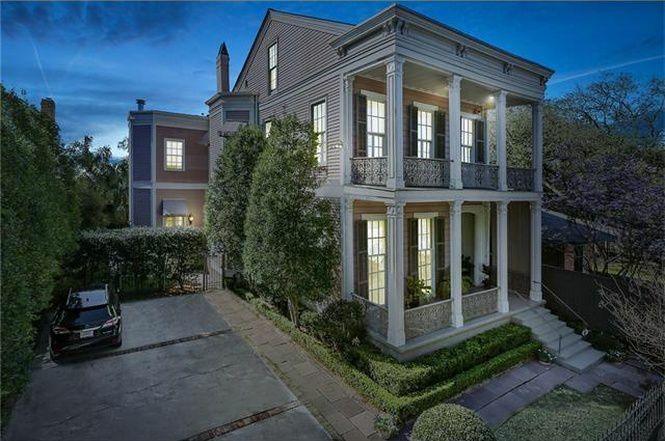 Built in 1867, this Greek revival reigns as the last of the ten least expensive homes in the Garden District. 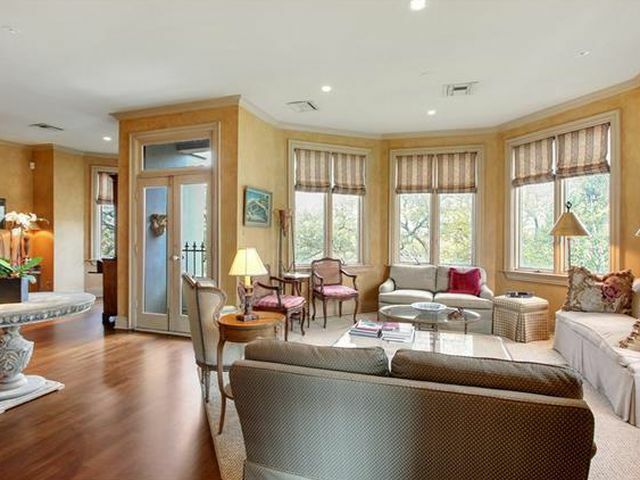 For $1,975,000, the 5,800-square-foot mansion has five bedrooms and 5.5 bathrooms. The facade of the home is adorned with floor-to-ceiling windows and a second-floor gallery. Interior highlights include its 14-foot ceilings, plaster medallions, marble mantels, and elegant chandeliers. At the rear of the home is a pool, courtyard and landscaped grounds.